Company Profile: Since the establishment of GACO Pharmaceuticals. in 1950, it has been aiming to fulfill the fundamental demand of the people of Bangladesh and is committed to reach the healthcare services to the door-step of the people. To provide inspiration for establishing a committed and motivated nation. To reach the healthcare services to the door-steps of the people. To manufacture and market safe and effective medicines of the highest quality. To ensure WHO cGMP and local regulatory norms from procurement of raw materials to supply of finished products. 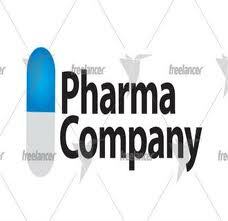 To be distinctive in growth through innovation and achieve a prestigious status in pharmaceutical sector. The core strategy of GACO is to create value by rapidly developing, launching and successfully marketing innovative pharmaceuticals that satisfy unmet medical needs in large patient population. We are focused on delivering effective and cost-efficient healthcare solutions with advanced technology and to confront challenging economies. State-of-the -art technology at all stages of manufacturing. Highly qualified and experienced professionals in production and quality control department. Highly qualified, well trained and self motivated professionals in Product Management Department (PMD). Strictly maintains WHO cGMP and local regulatory norms. Committed for continuous development through modern and advanced technology. In developing a product the marketer must choose a quality level that will support the product position in the target market. Here product quality means performance quality- the ability of a product to perform its function. GACO pharmaceuticals provide higher performance quality than other pharmaceuticals. It has a smoother rider, handles better, and lasts longer in the markets. Companies rarely try to offer the highest possible performance quality level-few customer want or afford the product. Quality Control department is equipped with HPLC, UV Spectrophotometer, Polarimeter & Microbiological testing facilities, besides other standard analytical equipments. Ensuring patient’s requirements for safety, identity, potency, strength, purity, uniformity, reliability and stability into the products. Committed to establish a quality assurance system with thorough institutionalization of CGMP and detailed reviewing of batch documentation. GACO pharmaceuticals maintain their quality each and every step of processing the product. There first step start at the purchasing the raw materials. Even they also test the packaging. What paper used in the packaging? What materials are used? How many pieces are put on the packet? All are mention. Quality is when our customers come back and our products don’t. GACO pharmaceutical has an approach Total quality management (TQM) in which all the companies’ people are involved in constantly improving the quality of the product. These approaches have greatly improving their market share and profits. GACO companies viewed TQM as a magic cure-all and created token total quality programs that applied principals only superficially. We have recently achieved ISO 9001: 2000 certification for design, manufacturing and marketing of quality pharmaceutical products in Bangladesh. The manufacturing plant is designed to meet the current Good Manufacturing Practices (CGMP) recommended by WHO and local regulatory authority. Experienced R & D staff for the improvement of the efficacy of existing products and development of new drug formulation. Golden Wing Int. is one of the leading trading houses in Bangladesh. It has earned its goodwill through properly achieving it targets and goal since 1998 by satisfying its suppliers and valued customers. Our Marketing & Distribution network includes well trained & dedicated field forces, stockiests, distributors & retailers. We contribute in various fields listed below. Golden Wing Int. has been engaged in the distribution of GACO touch soap all over Bangladesh. A set of interdependent organization involved in the process of making a product or service available for use or consumption by the consumer or the business users. GACO Company’s distributions directly affect every other marketing decision. The companies pricing depends on whether its works with normal discount chains, uses high quality –specialty stores, or seals directly to consumers via the web. The firm’s sales force and communications decision depends on how much persuasion training, motivation, and support its channel parterres need. Distribution channel decisions often involve long – term commitments to other firms. From day one Mod Girl cosmetics was introduced, marketed and distributed through Golden Wing Int. and we are successful in marketing & distribution of Mod Girl. Golden Wing Int. has whole-heartedly put its all effort for promoting Mod Girl through Posters, Stickers, Banners and various sales promotion schemes to ensure better movement of the products and face competition. Very soon Golden Wing Int. is going to market Fish Mosquito Coil and other insecticides.